Healthy, high-performance teams work differently, think differently, communicate differently. When people truly value and understand themselves and one another... it creates connection and collaboration at a core level, and an ease in which creativity, learning, game-changing ideation and accelerative productivity just happen. It shortcuts defenses, taps natural talent, allows direct communication without drama and, perhaps best of all…it's fun to the work together. That’s powerful. Creating an awesome organization takes focused attention to both individuals and teams. We get the secret to vibrant, high-impact individuals and intentional, accelerative team... making for unstoppable culture. Synergy is created by focusing on micro and macro- so individuals are getting the coaching and tools they need to thrive, and also the frameworks to solidify their learning within the team's dynamics and culture. This is how good organizations become great. Sarah coaches leaders to their next level of awesome, starting with the 2-day Tapping Their Greatness Intensive. She shakes them out of their comfort zones, multiplies their ability to have impact, then integrates the shift into their practice through focused coaching and mentoring. 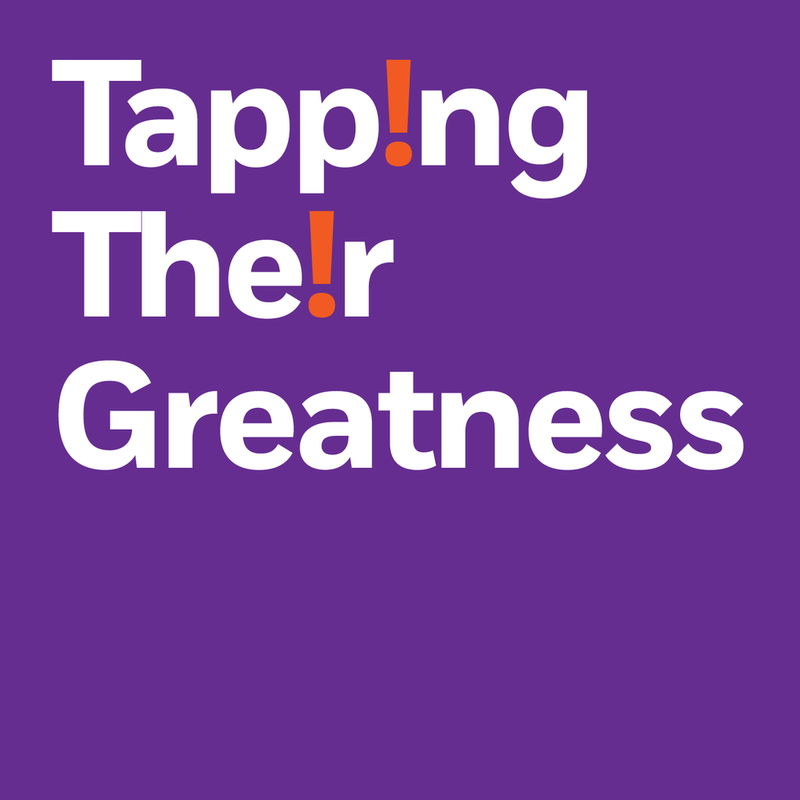 Learn more about Tapping Their Greatness. Sarah gets to the heart of who you are, what makes you great, and what’s in the way of your next best self... quickly. She brings a mix of perspective, strategies and just the right questions to push you to that next level of insight, balance and influence. Sarah works with teams to infuse the keys to high-performance in maximizing dynamics, roles and culture. Through her direct, immersive, active approach, groups move from great collections of individuals to truly awesome teams. Learn more about Team Start & True Team Intensives. Sarah has developed a powerful method for ensuring your audience will hear, interact with, and remember your material long after it’s delivered. This arsenal of accelerated training strategies will arm any presenter to inspire any audience. With coaching and training clients like Victoria’s Secret, American Eagle Outfitters, Jump Associates, Bubba Gump Shrimp Company, and Alliance Data Sarah has proven the success of her methods. Combining elements of non-verbal communication, learning and thinking styles, emotions and intelligences, Sarah Singer uses a research-based approach to create organizations with learning at their core, creating growth, dynamic interactions between people, insights into productivity, and personal fulfillment. Whether individually or in teams, in the workplace, in learning institutions, or in daily life, Sarah Singer’s proven approach creates inspired leadership, fired-up committed people, and effective, lasting change. Visit Sarah Singer’s Bio to learn more about her background and experience. Are you ready to take your team, your mission and yourself to the next level of what’s possible? Contact SarahSinger&Co. today.